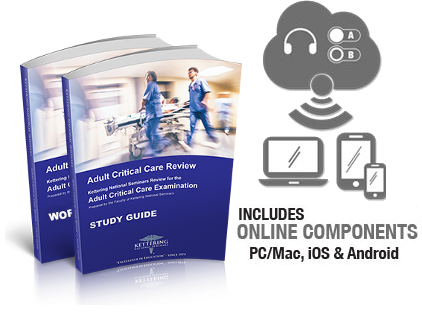 The Adult Critical Care review is approved for 10 CE credits. To provide each participant with a comprehensive review of Adult Critical Care and a step-by-step method of preparation for the successful completion of Adult Critical Care specialist Examination offered by the NBRC. Full-length 150-question Online Practice Test: Ensure you're ready for the real thing! Hundreds of practitioners who can't attend the seminar use the HomeStudy Program to pass their exam. The HomeStudy Program includes a comprehensive Study Guide, Workbook, Practice Exam, Audio Lecture Set and free Tutor Support. UPS Shipping is also free within the 48 contiguous US states.